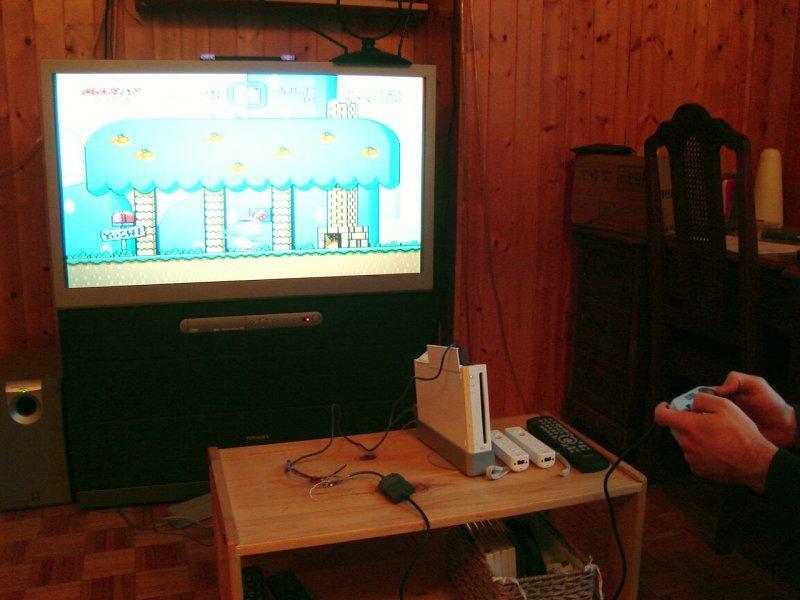 Nintendo's idea of implementing support for NES, SNES and N64 games in their new console, the Wii, is in my opinion one of their greatest ideas. 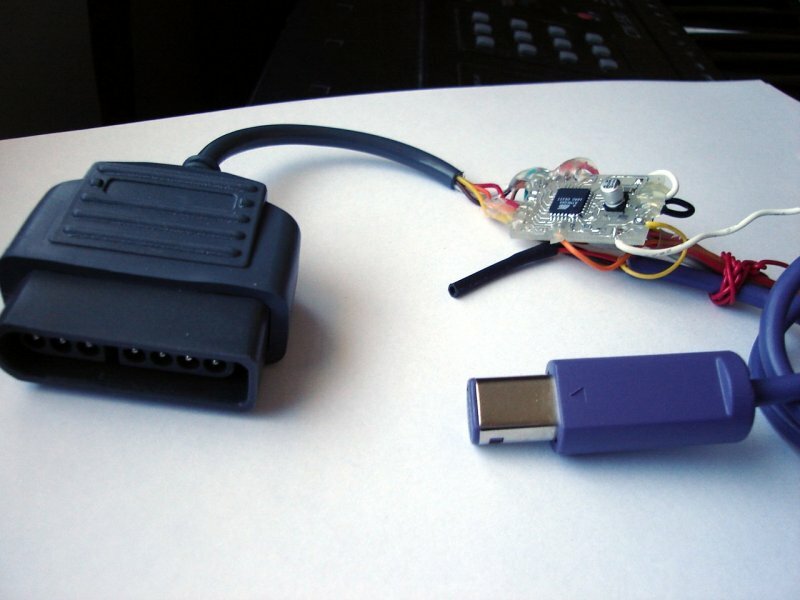 As soon as I learned that it would be possible to use Gamecube controllers to play those games, I started thinking about designing an Snes/Nes controllers to Gamecube adapter which would be compatible with the Wii. Update! 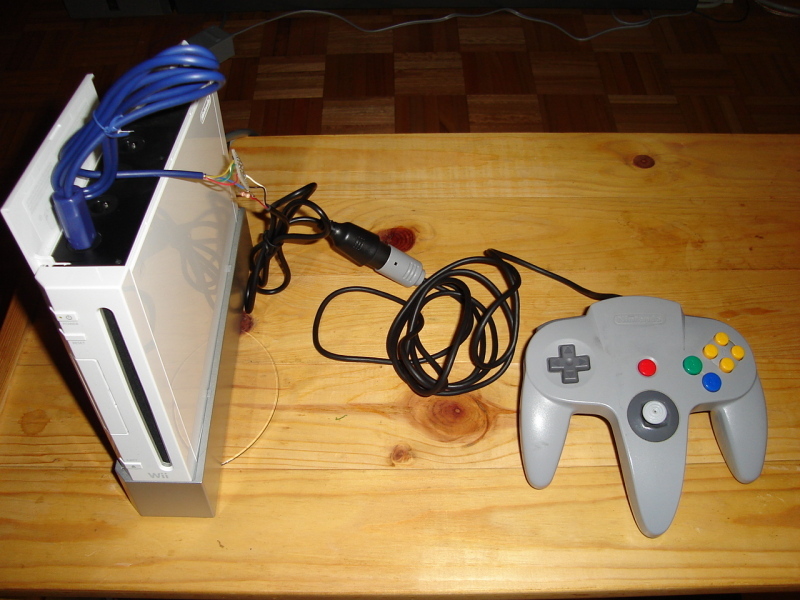 : Since the Wii U and new Wii models are built without gamecube ports, I have created a new project that works via the Wiimote, making it possible to continue enjoying the classics with proper controllers. 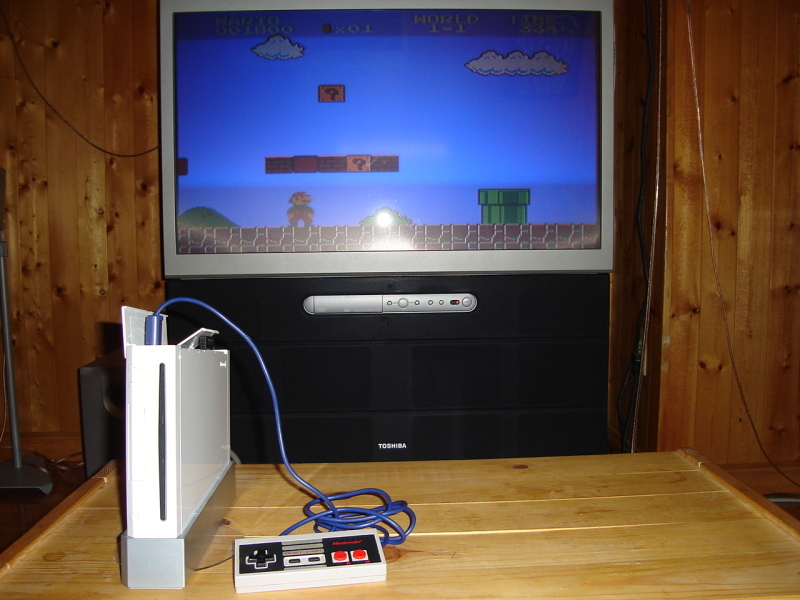 As soon as I got access to a Wii (I still dont have mine), I started testing my code which I had prepared in advance. 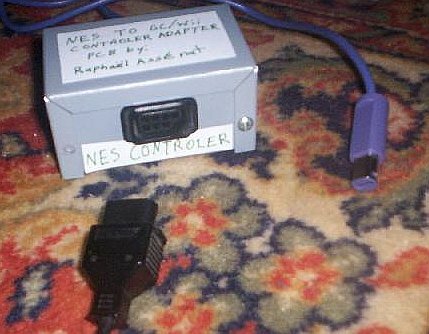 I started by doing the NES and SNES adapter. 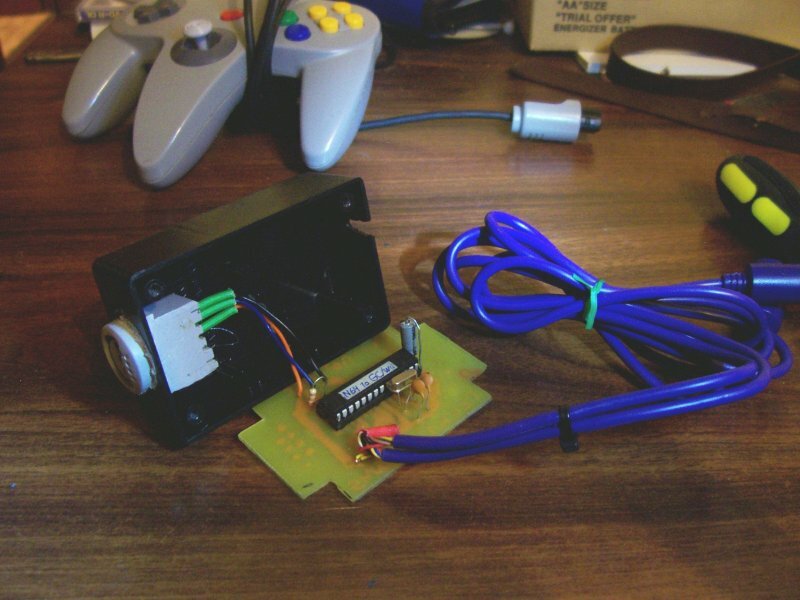 Later, since a friend kept insisting that I should also design a N64 to Gamecube/Wii adapter, I implemented such an adapter. 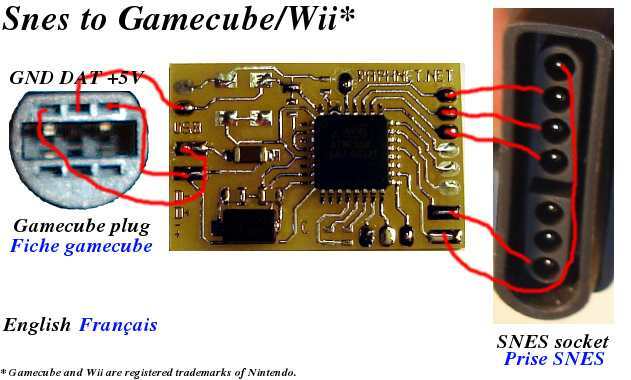 Because of the complexity of the Gamecube's controller protocol, it's not possible to build a simple conversion circuit without using programmable components. 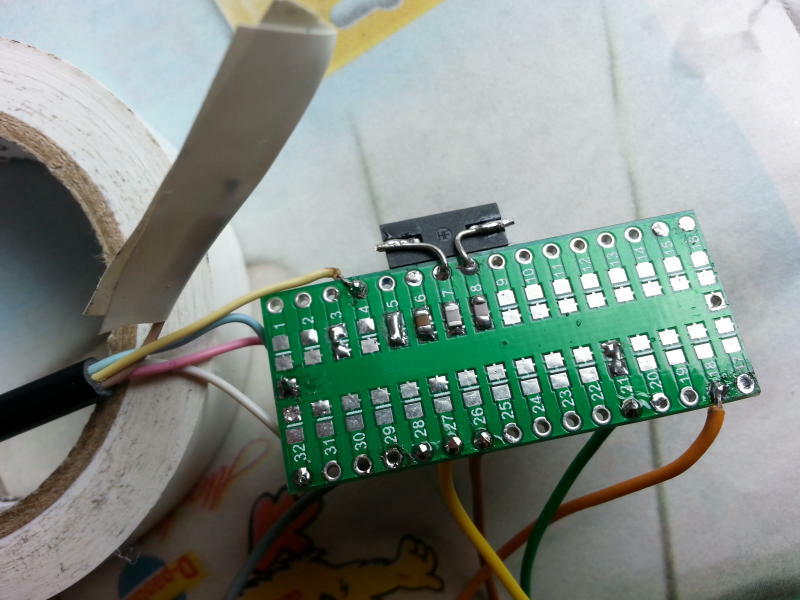 For this project, I used an atmel Atmega8 microcontroller. 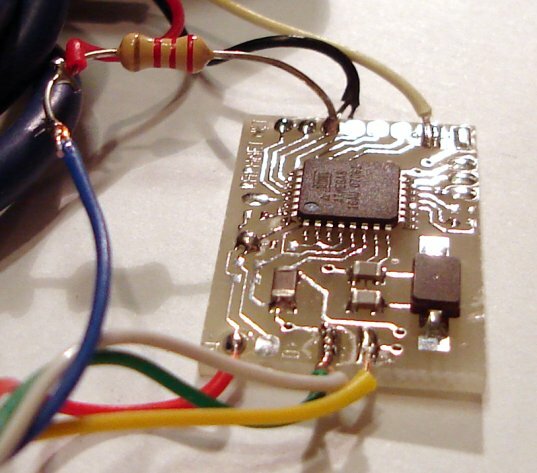 Maybe it's a little overkill, but using this chip allowed me to use my Multiuse tiny 1 PCB. 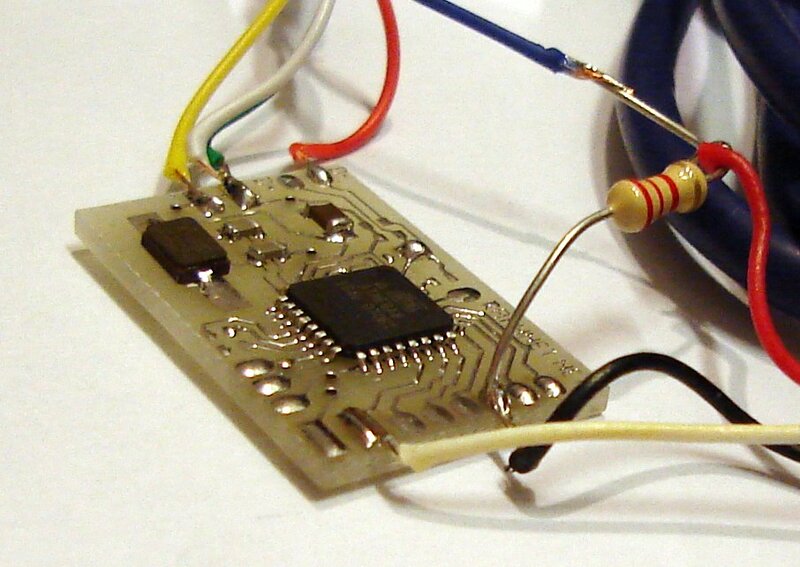 Given the small size of this circuit, it's possible to fit it inside an original controller. 2015-12-26: As I have been asked many times if the adpater is compatible with something, I decided to create this table. 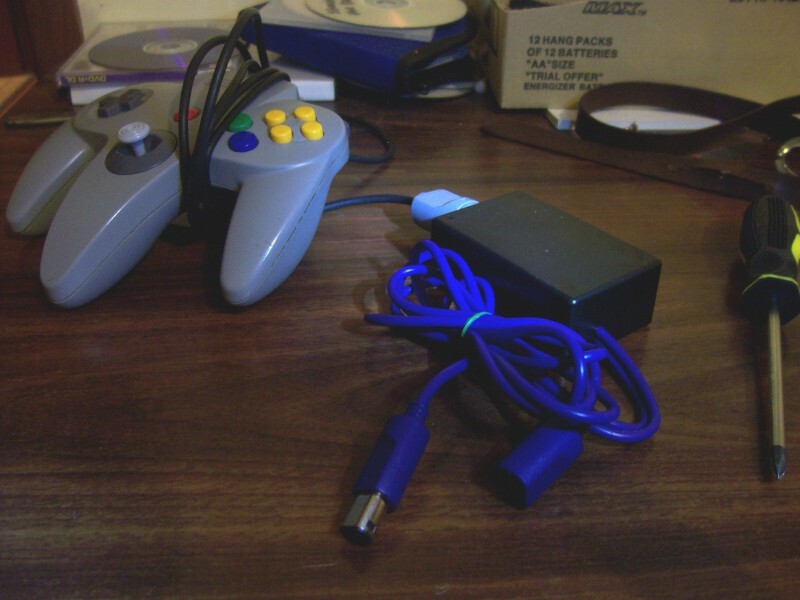 The adapter should work with all games or systems supporting Gamecube controllers, but there are exceptions. 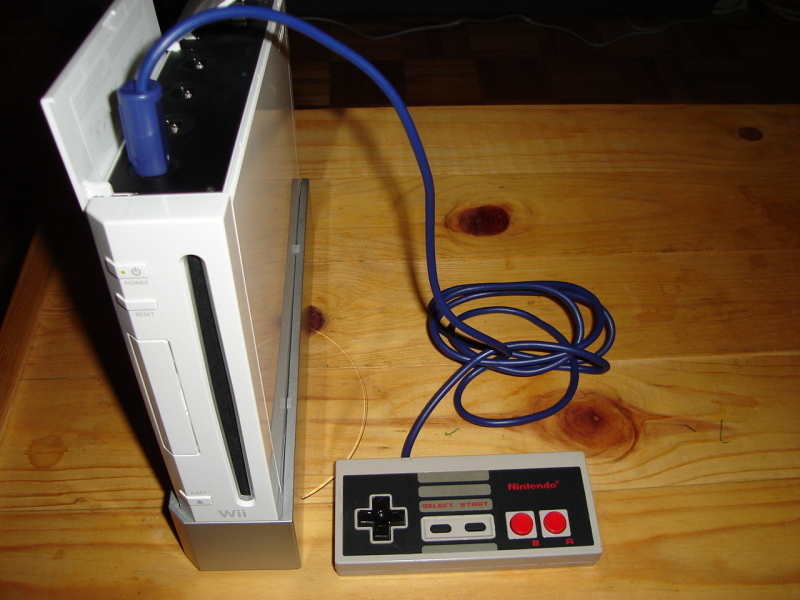 Wii U No as there are no Gamecube ports. 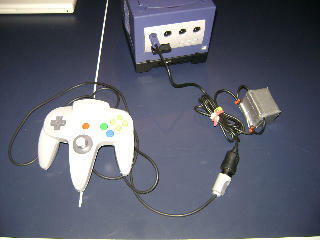 Adapters, games or system polling the controller (in fact, the adapter) at high frequency (i.e. 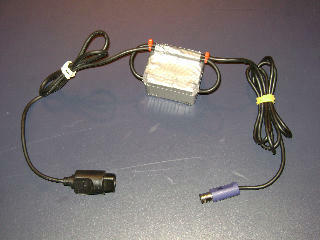 More than 60Hz) prevent the adapter from working correctly. NES mode 1: Hold START at power up. NES mode 2: Hold START, Y and B at power up. Most, if not all, third party controllers. 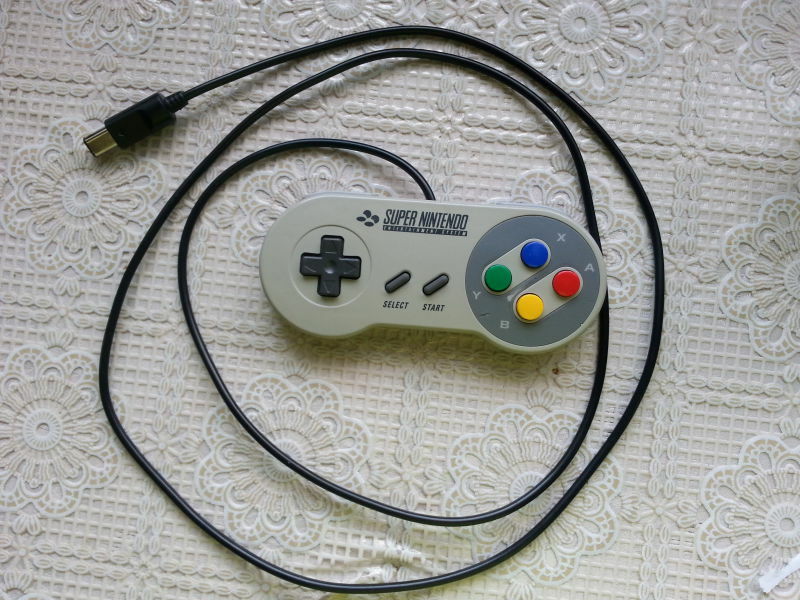 The "Hori Super Game Boy Controller"
Please let me know of any special controllers you use with this adapter! 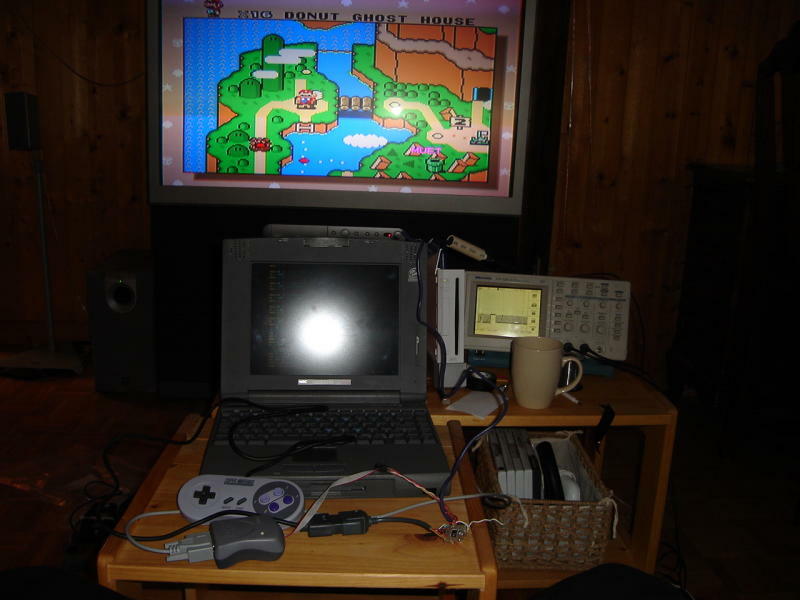 NES mode 1: Default mode. 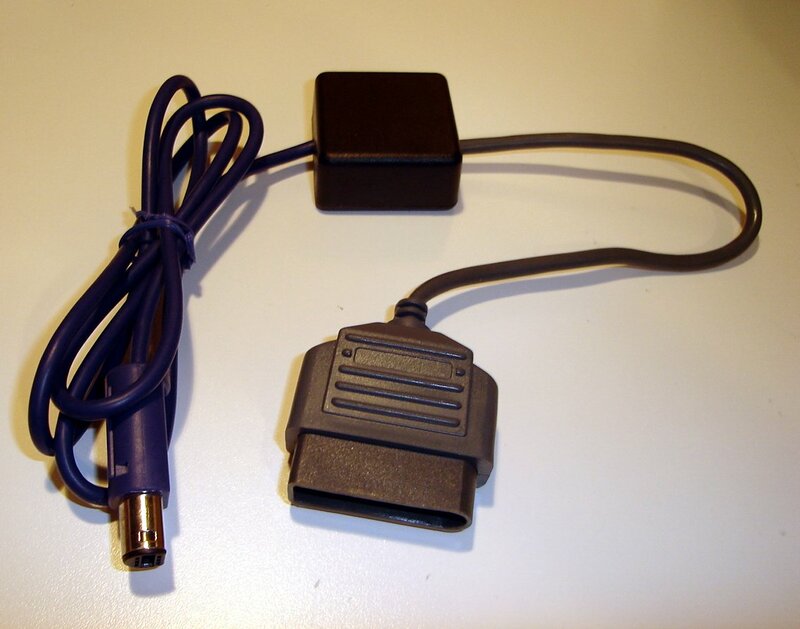 NES mode 2: Hold A and B down when connecting the adapter. 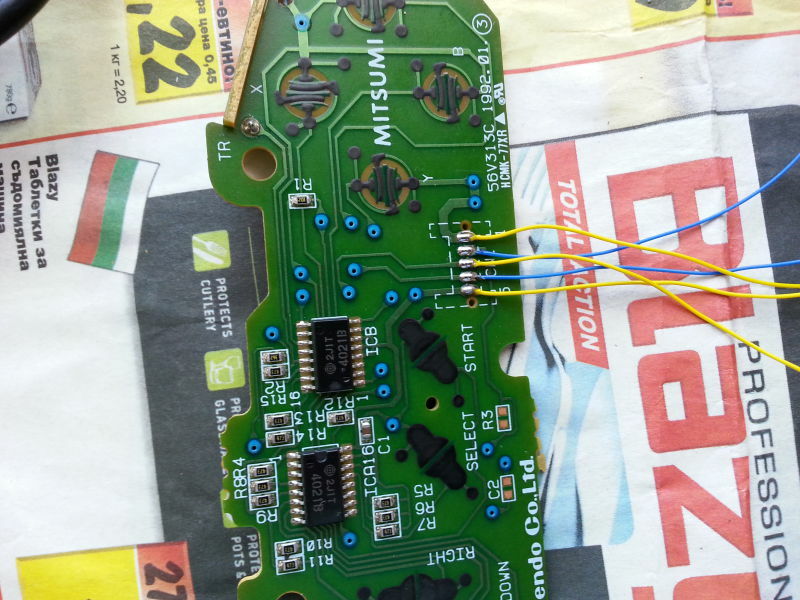 Snes and Nes controllers work at 5 volts. 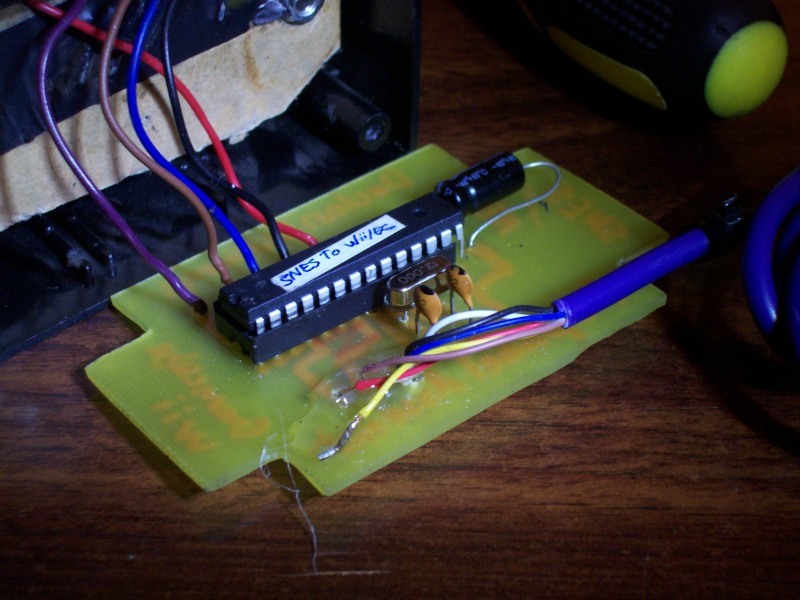 This means that it's better to use 5 volts for a logic 1 when driving the controller's CLock and Latch pins. 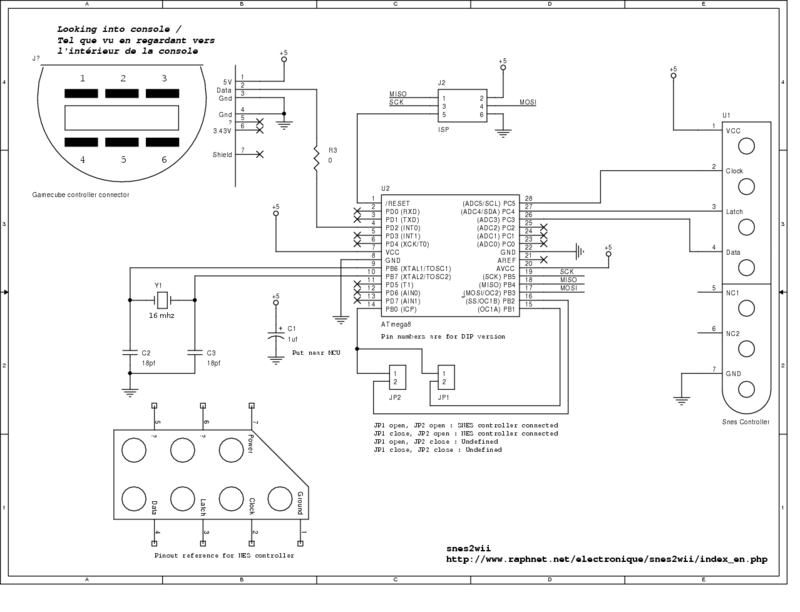 (As I dont have the official controller specifications, I cannot know for sure what is the voltage threshold for a logic 1. 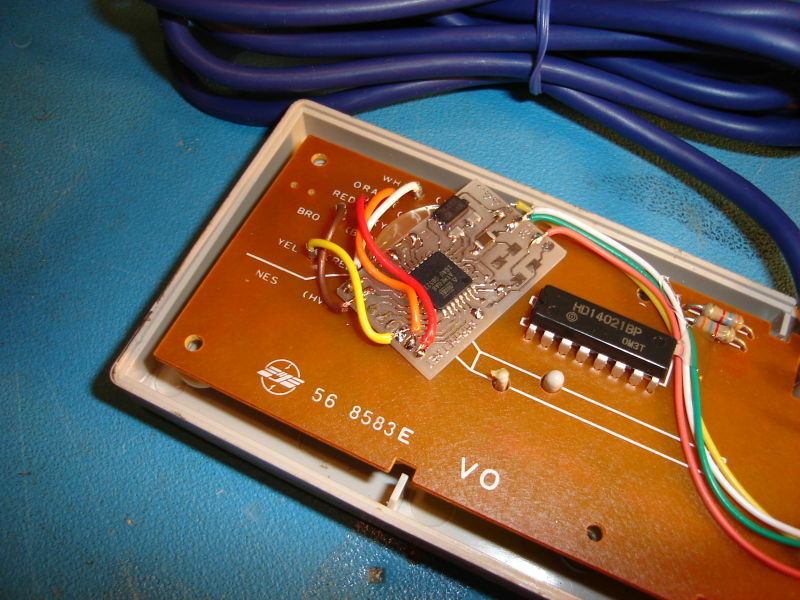 The data signal from the controller is at 5 volts when high. 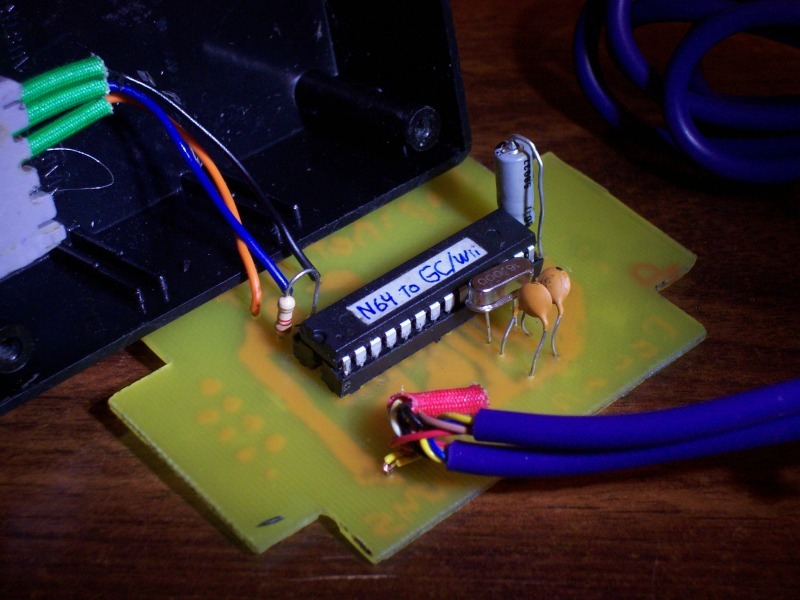 To prevent exposing the microcontroller input to voltages higher than it's own, it would have been necessary to use a voltage divider which would have required two additional resistors. 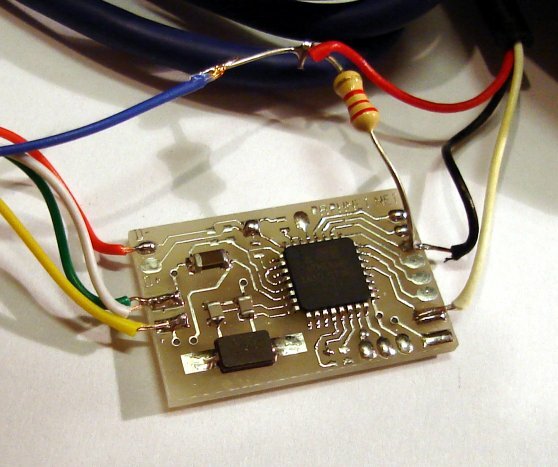 If I had powered the MCU with only 3.3 volts, I would have had to use an ATmega8L which cannot run at clock rates above 8 mhz. 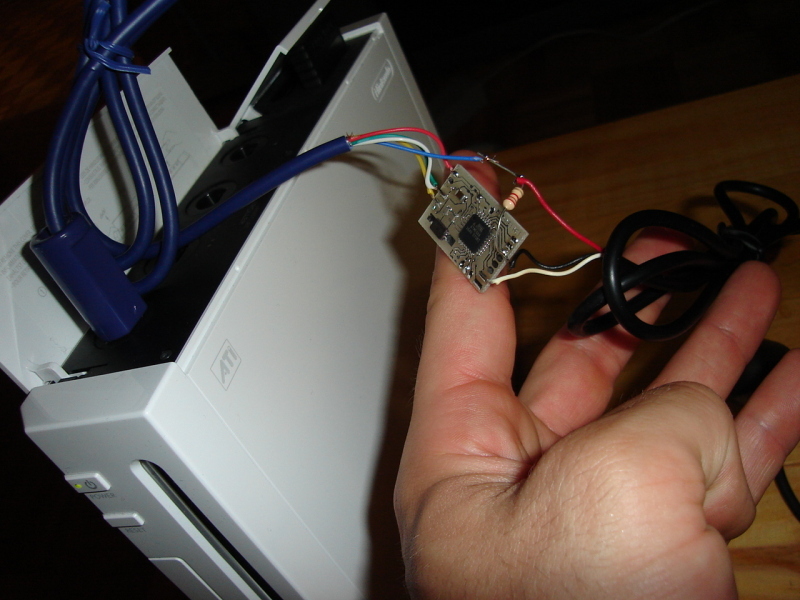 Q: Why did'nt you use the Wiimote accessory connector instead of doing a Gamecube adapter? 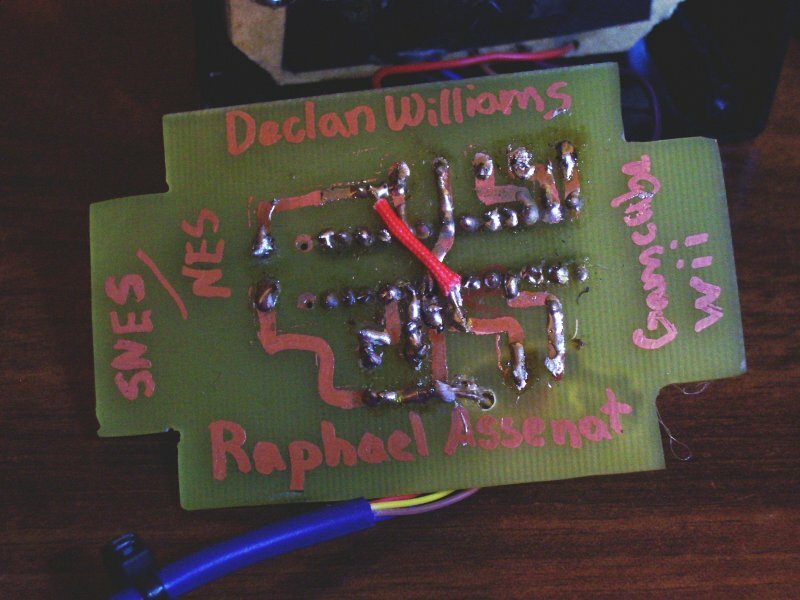 NES and SNES controllers use 5 volts. 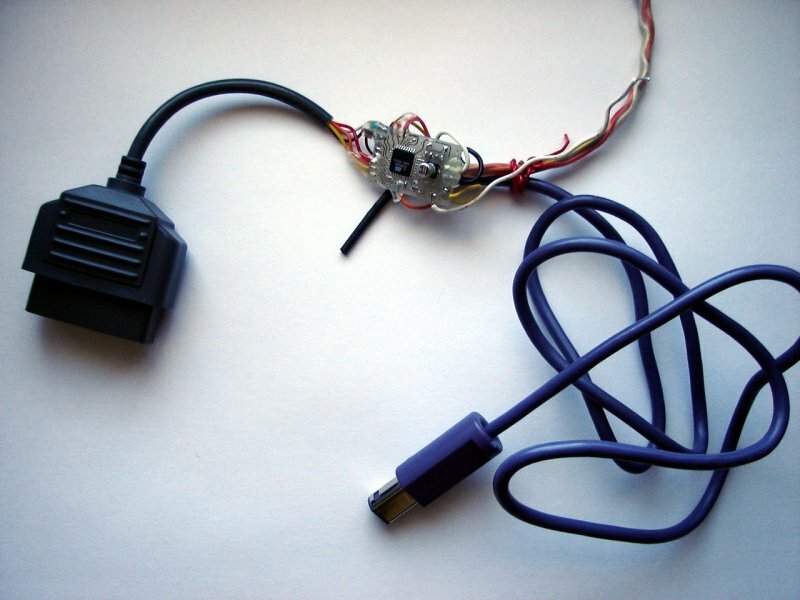 If I remember correctly, there is no 5 volts in the Wiimote connector. 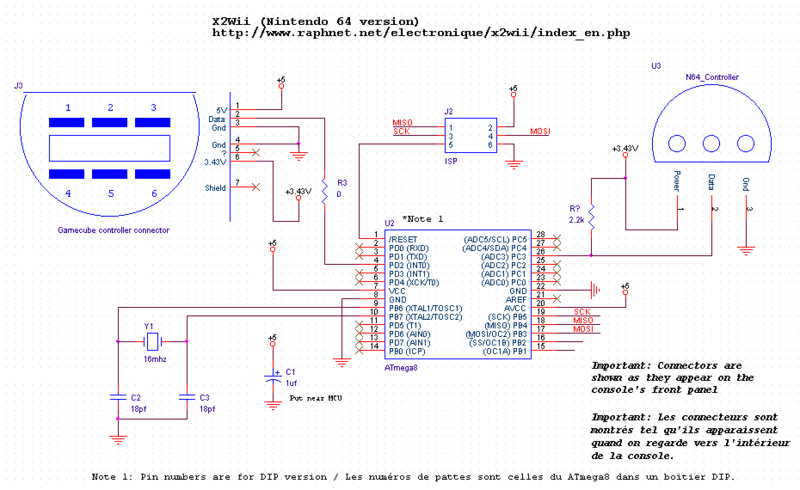 This means that I would need to build a step-up switching voltage regulator. Higher cost, Higher complexity. NES/SNES (and other consoles) emulators on Wii are (or were, I have not checked recently) in fact Gamecube based. 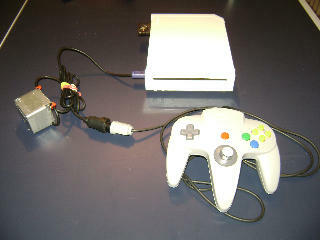 Since Gamecube games only support Gamecube accessory, implementing the adapter via the Wiimote would be useless. I'm not a big fan of wireless things. 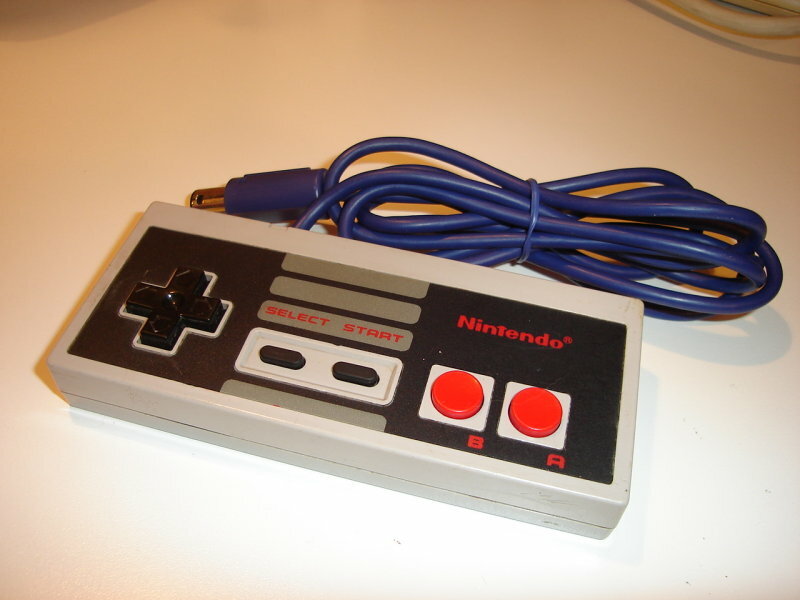 Besides, the NES/SNES controller cables never bothered me. 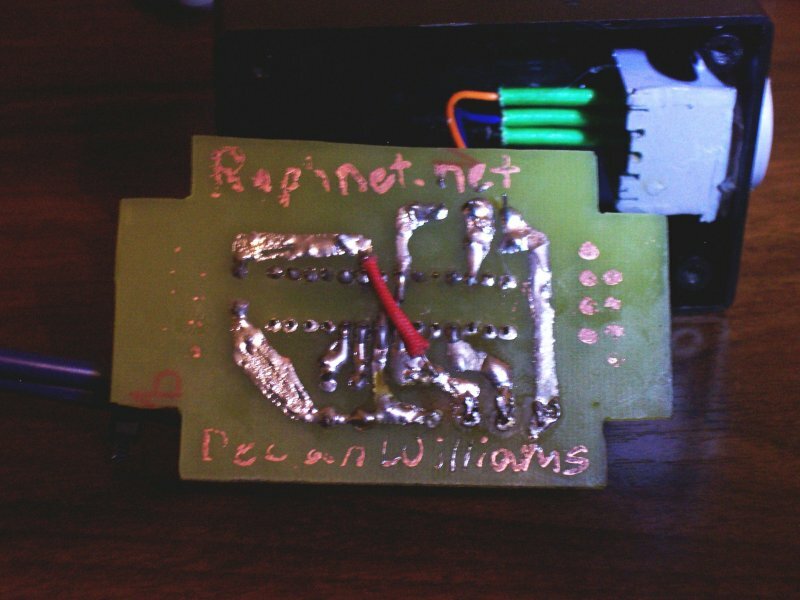 As I said in the overview, I used my Multiuse tiny1 PCB. Refer to the Multiuse tiny1 page for more information. 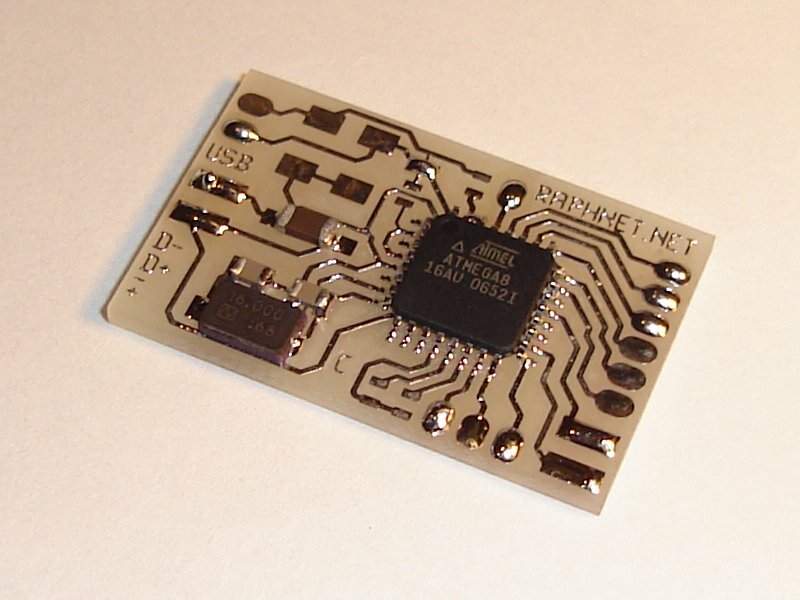 If you dont feel like building it yourself, I sell fully assembled PCBs with the MCU pre-programmed in my online shop. 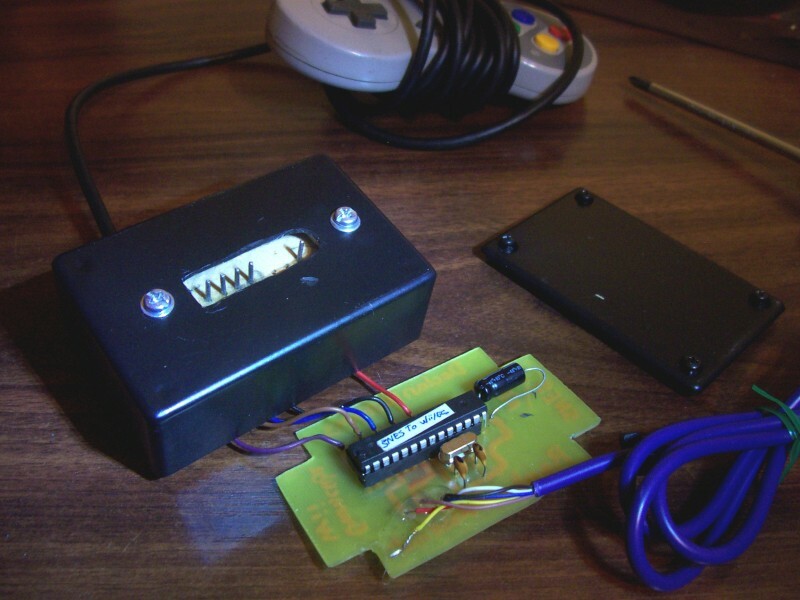 Fixed a long standing bug where random button press would occur when no controller (NES/SNES) was present. NES/SNES controller polling frequency increased from 60Hz to 200Hz to reduce latency. Source code updates for modern avr-libc. Added a feature to swap the NES A and B buttons. Hold A and B at power up to use it. 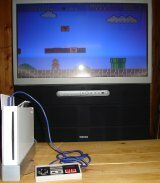 NES mode can be forced on by holding the Start button at power-up. 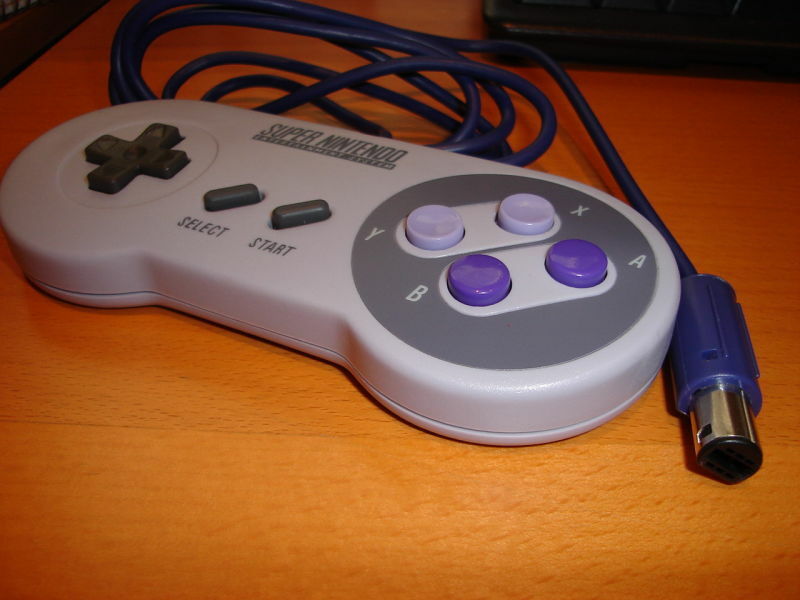 Without this, in my opinion, NES games are almost unplayable with an SNES controller. Implemented button combinations which can affect how unaccessible Gamecube buttons and sticks are reported. 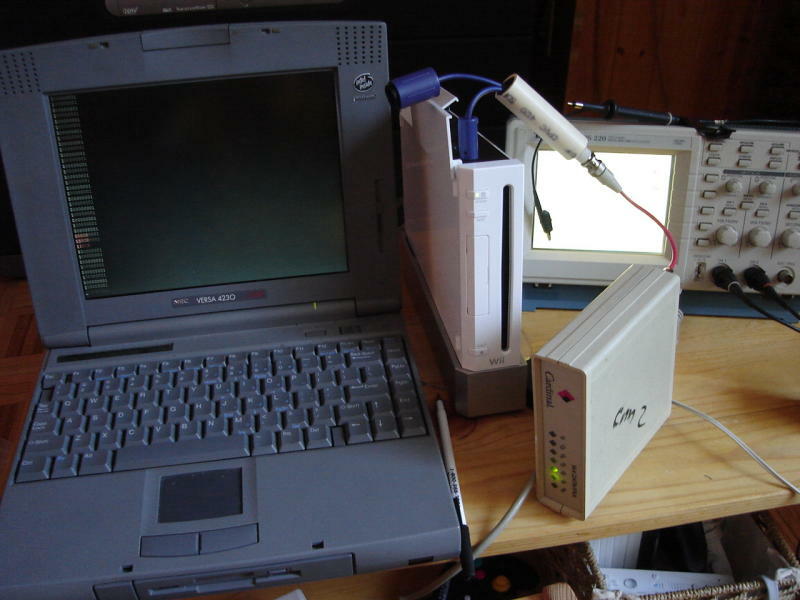 eg: Sending L+R pressed with a NES controller, and sending CStick towards the right. Mostly useful to summon some emulator's menu while playing. 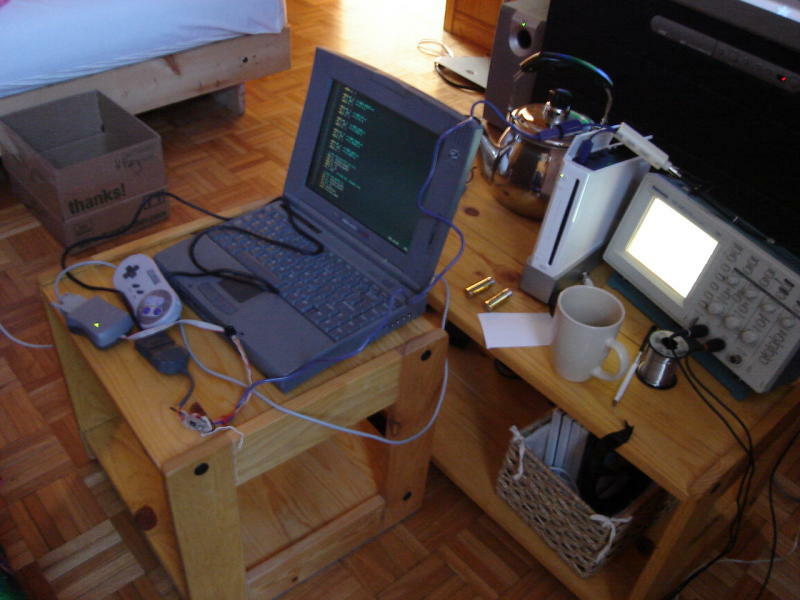 Implemented new Gamecube commands for better compatibility, eg: GCLinux. This was the first version. 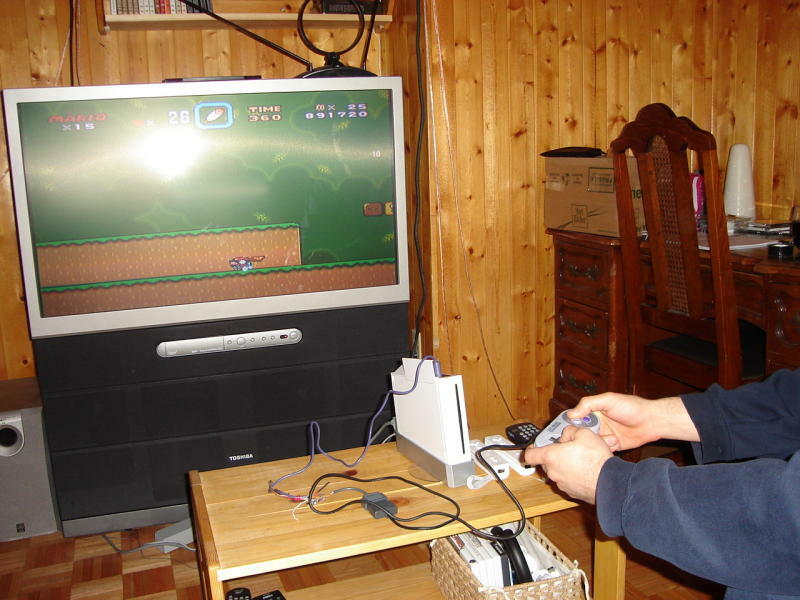 Nes or Snes mode selected with jumper. 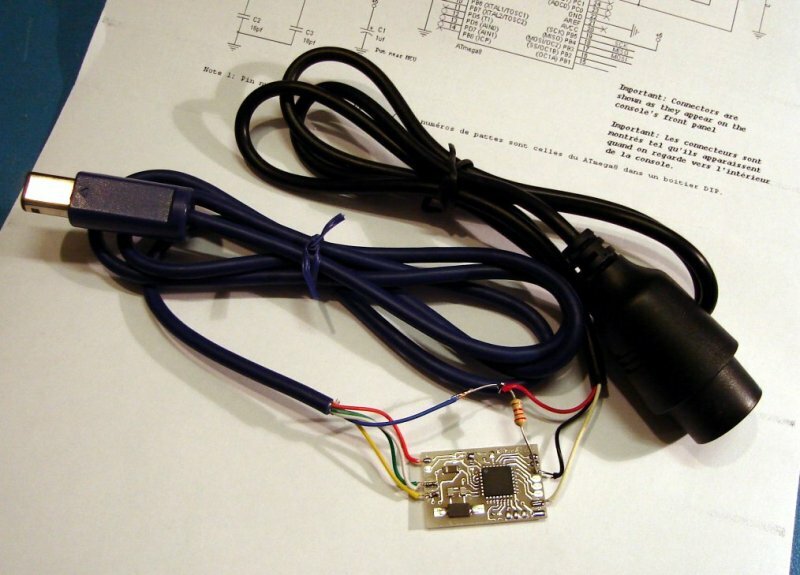 Compatiblity fix for Gameboy player: When a very high poll frequency is detected, disables rumble. Added 4 new button mappings, accessible by holding a C button for each	mapping. These are reported to be useful for Super Smash bros Melee and Brawl. It is now possible to disable the feature where the L and Z buttons are swapped by holding the 'L' button down when plugging the adapter in the console. 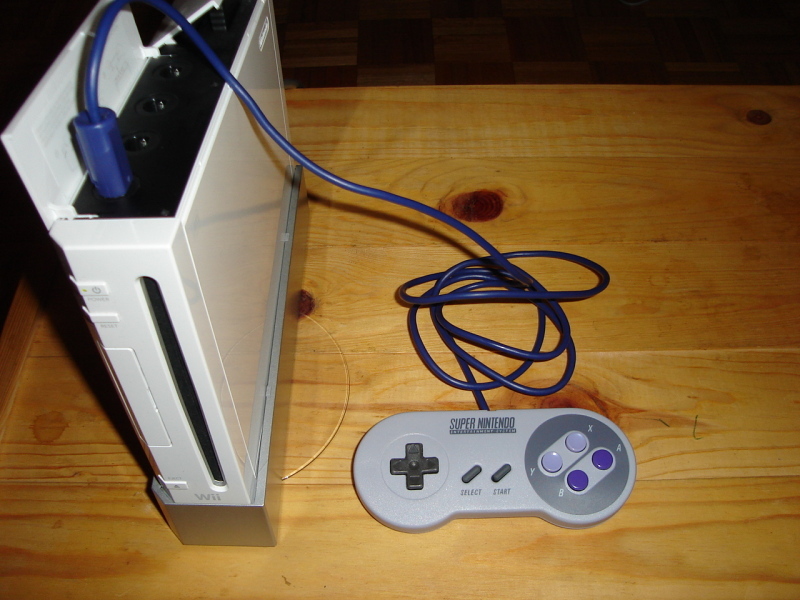 If the R button is held down when plugging the adapter into the console, the N64 C-left and C-right buttons are mapped to the Gamecube Y and X buttons. 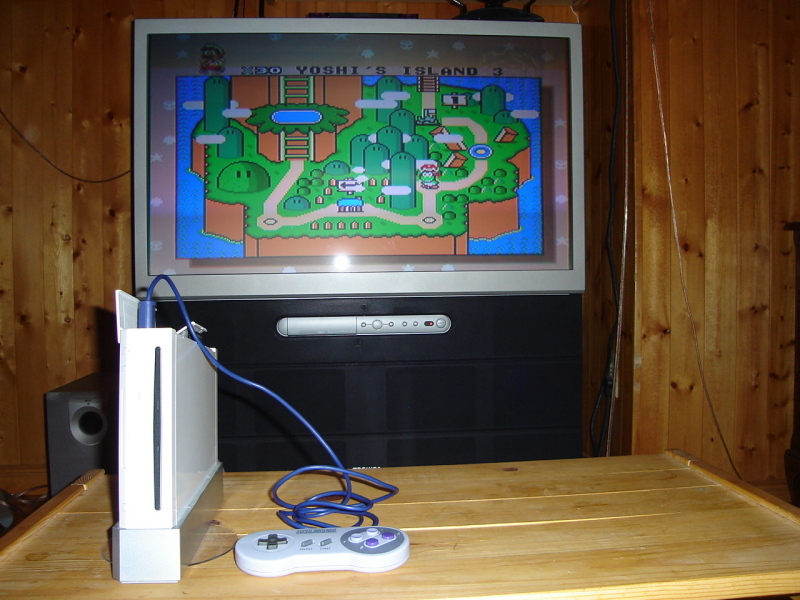 This makes it possible to play the virtual console game Sin and Punishment. The joystick sensitivity can be increased by holding the Dpad right button when plugging the adapter into the console. The joystick sensitivity can be decreased by holding the Dpad left button when plugging the adapter into the console. 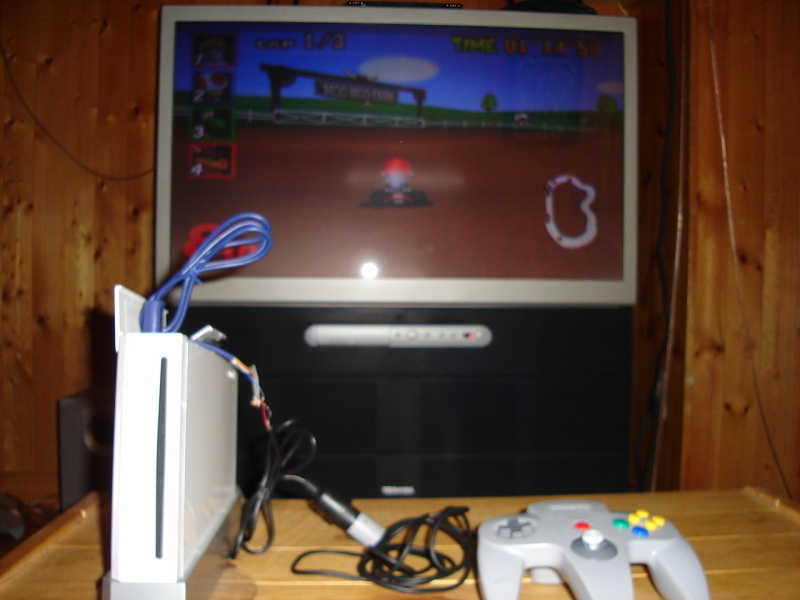 Version 1.1 for N64 had a reliability bug which caused some controllers to randomly reset and recalibrate during play. This is fixed in version 1.2. It is recommended that you upgrade even if version 1.1 is working for you. The source code (.tar.gz files above) is released under the GPL license. 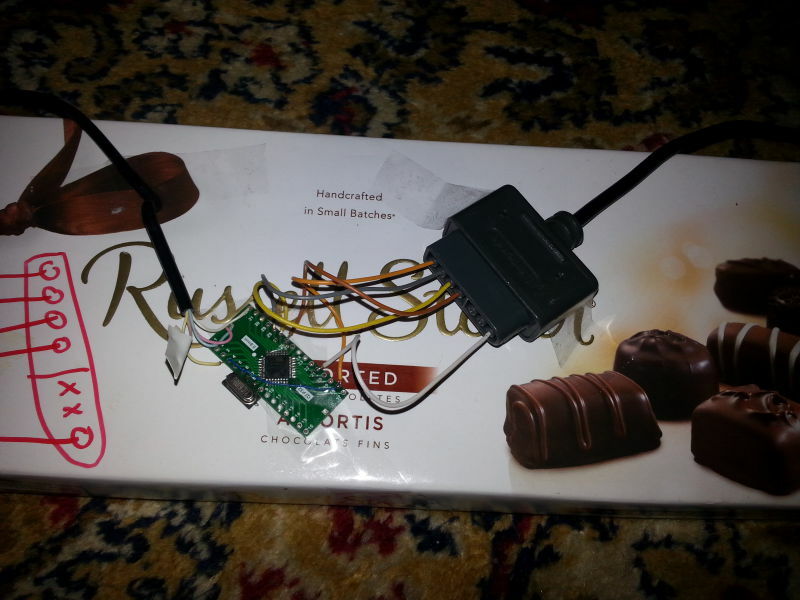 I coded the project in avr-as (gnu) assembler. A makefile is included. Why I used assembly language? Mostly for speed and timing control. 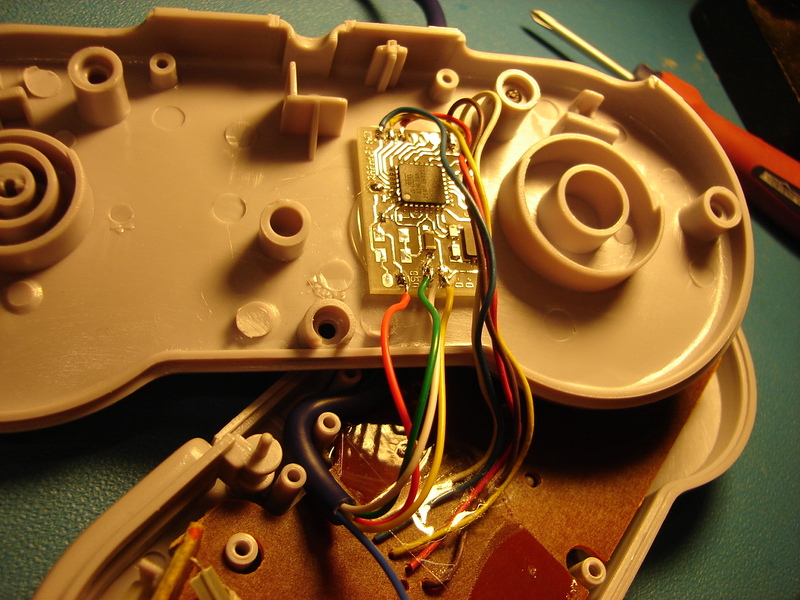 The smallest time unit in the gamecube controller protocol is of 1us, which corresponds to only 16 cpu cycles at 16 mhz. Not much time to waste at that speed. Because I used assembly, many optimisations tricks were possible. 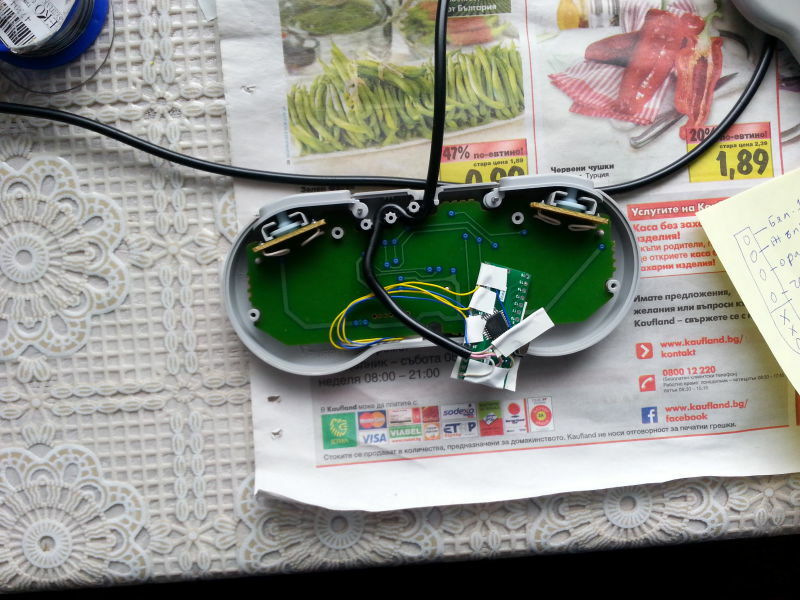 Analysing the protocol with an home-made tool. It almost works... The Wii recognizes the controller! I like to see how others build my projects. It also makes good assembly examples. Please send me your pictures and I'll add them here. 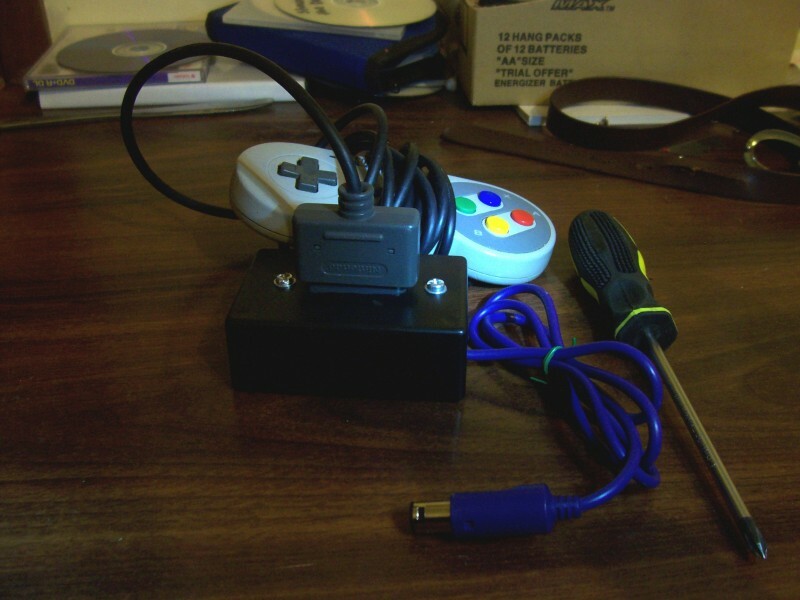 TALENTO from Bulgaria sent me pictures of the SNES to Wii/Gamecube adapter he built using a generic board bought on eBay.